Everyone shops on the Internet these days, don’t they? That’s why Armageddon looms for retailers and therefore investors in retail property. If you’re looking for a reason why the share price of Retail AREITs in the ASX 300 are down 2.3% over the last two years, there’s your answer. You may also think these falls are justified. If so, we’d suggest you do three things. The first is to take heed of the last 12 months performance. The retail sector is up 14% (even outperforming the overall AREIT market) as investors realise the value that has been created by the over selling of the sector. The second is to visit your local super regional shopping centre, maybe Chadstone in Melbourne, Bondi Junction in Sydney or Carindale in Brisbane. On arrival, take a look around. It’s busy isn’t it? And how about those families, maybe three generations wide, engaging in an activity that is as much social as it is commercial? These small groups are simply doing something together in a clean, convenient, climate controlled, secure and accessible environment. For them, shopping is not a chore. This is not something they want to substitute for online shopping, huddling around a mobile phone, looking at pictures of shoes. Both activities might lead to a sale but there is a world of difference in the social activity and environment that precedes it. The third suggestion is to consider the view of experienced investors that study shopping centre assets for a living and get their take on retail Armageddon. Yes, there are such people, and APN Property employs quite a few of them. Between us, we have 84 years of commercial property investing experience. We dig deep into the demand and supply dynamics that drive local retail property markets, analysing everything from personal income growth, population data and economic growth indicators to individual shopping centre performance, vacancy rates and rental growth. For us, this is the only way to establish the attractiveness or otherwise of a retail property. If, for example, a particular property market has excess supply, low population growth, weak “buying power” (lower income levels) and low economic growth – it is best avoided. It is our view that not only is Armageddon highly unlikely, the prevalence of the belief that it is, offers an opportunity. Let me explain why. Our AREIT valuation process includes a property-by-property risk analysis, drawing on pertinent local market data, ABS and Census data for specific areas and property specific information. We also seek to understand Australia’s high level retail property market dynamics. This approach delivers a very different picture from the narrative seeping into the mainstream media, foretelling empty shopping centres, declining retail brands and the end of shopping as a social activity. The Melbourne regional shopping centre market is typified by low per capita supply, driven by the strongest population growth and Gross State Product (GSP). It is also enjoying below average new supply across all retail sectors. This is an attractive market ripe with investment opportunities. The same cannot be said of south east Queensland, a market typified by an excess supply of all categories of retail property, especially in the vulnerable sub-regional centre category. The region also suffers from below average GSP and only average population growth. The current supply phase is well in excess of national averages across most sectors and will likely compound return weakness in the region. In Perth, a large pipeline of new retail space is in development, a “catch up” following years of oppressive town planning restrictions and retail trading laws stifling the market. As a consequence, a number of existing centres are experiencing major extensions, including Mandurah Forum, Westfield Carousel, Midland Gate Shopping Centre, Booragoon and Karinyup. This new supply looks excessive but being aware of the historic context makes us more comfortable. In Sydney, the market has elevated levels of new Neighbourhood and Large Format space being built. But compared with the rest of Australia there appears to be less of the weak sub-regional shopping centre space and less new supply looming. And Sydney’s higher than average regional space provision appears consistent with the population’s superior spending power. It hardly sounds like Armageddon, does it? In Australian retail property, overall growth is broadly positive, current supply is not excessive (in an absolute sense – relative to other developed, comparable markets around the world) and neither is new supply excessive. South east Queensland has some challenges and Melbourne is fundamentally strong but overall Australia’s retail property market is well positioned for slow and steady growth. Armageddon appears unlikely. Retail property is not dead. We are, however, witnessing a cyclical slowdown. Different to past cycles, it has been confused by less experienced investors as a structural issue. It’s this kind of measured, fact-based analysis that you won’t read about in the media. Instead, Amazon’s arrival has led to a kind of scaremongering that defies reality. Professional investors like us enjoy and aim to profit from the disparity, as we hope will investors in APN’s AREIT Fund. The headlines point one way, the facts quite another. Personally, I prefer facts. How do you manage the mistake? You need to approve the commutation of the excess contribution amount from your account by the ATO as soon as possible after you receive a determination. This will limit the amount of penalty interest that you will be liable to pay. rate of the excess concessional contributions charge. With your determination, you will also receive an income tax return Notice of assessment/ Notice of amended assessment. amend your tax return if you did not claim the correct personal super contribution deduction in your tax return, or did not claim it at the correct label. You can elect to release all your excess non-concessional contributions and 85% of your associated earnings from your super funds. The full associated earnings amount stated in your determination will be included in your assessable income and taxed at your marginal rate of tax. A non-refundable tax offset equal to 15% of your associated earnings is applied to recognise any tax paid by your super fund. The ATO will issue a release authority to the super funds you nominate and they will pay this amount directly to the ATO. If you choose not to release your excess non-concessional contributions from your super funds, you receive an excess non-concessional contributions tax assessment. The excess amount is taxed at the highest marginal tax rate. IF you have more than one account/fund then you must elect a fund to release your excess non-concessional contributions tax from. You must select this option if your only fund is a defined benefit. The ATO will ask your super funds to release and send amounts to them. They will also amend your income tax assessment to include your associated earnings. You will pay tax on your associated earnings at your marginal tax rate. Because of the delay the tax on associated earnings will be higher. If you have no money left in super for any reason, they will amend your income tax assessment to include your associated earnings amount. You will pay tax on your associated earnings at your marginal tax rate. STOP! my head is hurting! Temporary timeframe extension for SMSF and APRA funds to release the money. From 1 July 2018 the Commissioner of Taxation has temporarily extended the timeframes for the return and payment of streamlined release authorities from 10 to 20 business days. The change applies to release authorities for excess contributions and Div 293 liabilities. This temporary extension will continue until the ATO digitises their release authority process. When they change the process from paper to being managed via SuperStream the system will return to the legislated 10 business days. This extension was given after practitioners raised concerns over their ability to meet this legislated time frame to return their release authority statement, with a paper form being the only channel available. Yeah like we trust Australia Post to get anything back quickly! I hope this guidance has been helpful and please take the time to comment. Feedback always appreciated. Please reblog, retweet, like on Facebook etc to make sure we get the news out there. As always please contact me if you want to look at your own options. We have offices in Castle Hill and Windsor but can meet clients anywhere in Sydney or via Skype. Just click the Schedule Now button up on the left to find the appointment options. I recently took part in a panel discussion on Peter Switzer’s Money Talks program on Sky Business around end of year tax planning. you can view the 20 minute show below for for some tips from all the panel. What was clear from the audience questions after the show is that many people just don’t know the strategies available to them. But its now 5 days before the end of the financial year and many people may think it is too late! But there are still strategies you can still out in place. 1.Think first. First tip is to think carefully on each strategy before implementing any of them. review the eligibility criteria and your own personal circumstances. 2. Review Your Concessional Contributions – $25K this year if under 65 and then work test applies for 65+. Maximise contributions up to concessional contribution cap but do not exceed your Concession Limit. The sting has been taken out of Excess contributions tax but you don’t need additional paperwork to sort out the problem. So check employer contributions on normal pay and bonuses, salary sacrifice and premiums for insurance in super as they may all be included in the limit. This year for the first time for employed people, you can still top up directly to your Superfund or SMSF without having to go through your employer and salary sacrifice. Work out you available cap and make a Personal contribution now! Have you considered making non-concessional contributions to move investments in to super and out of your personal, company or trust name. Maybe you have proceeds from and inheritance or sale of a property sitting in cash. As shares and cash have increased in value you may find that personal tax provisions are increasing and moving some assets to super may help control your tax bill. Are you nearing 65? then consider your contribution timing strategy to take advantage of the “bring forward” provisions before turning age 65 to contribute up to the $300,000. To calculate the super co-contribution you could be eligible to receive based on your income and personal super contributions, use the Super co-contribution calculator. your spouse’s income is $37,000 or less. The tax offset amount will gradually reduce for income above this amount and completely phases out when your spouse’s income reaches $40,000. 7. Check any payments you may have made on behalf of the fund. It is important that you check for amounts that may form a superannuation contribution in accordance with TR 2010/1 (ask your advisor), such as expenses paid for on behalf of the fund, debt forgiveness or in-specie contributions, insurance premiums for cover via super paid from outside the fund. If you are planning on claiming a tax deduction for personal concessional contributions you must have a valid ‘notice of intent to claim or vary a deduction’ (NAT 71121). If you intend to start a pension this notice must be made before you commence the pension. Many like to start pension in June and avoid having to take a minimum pension but make sure you have claimed your tax deduction first. • If you can improve your eligibility for concession cards or pension by retaining funds in superannuation in younger spouse’s name. This is a simple no-cost strategy I recommend everyone look at especially with the Government moving on limiting the tax free balance on accounts. See my blog about this strategy here. If you want to move any personal shareholdings into super you should act early. The contract is valid once the broker receives a fully valid transfer form not before. It takes about 4 days to implement this from the brokers end so Tuesday 26th would be the cut off day for the forms to be received by your broker. YOU CAN DO IT! If you are in pension phase, ensure the minimum pension has been taken. For transition to retirement pensions, ensure you have not taken more than 10% of your opening account balance this financial year. The following table shows the minimum percentage factor (indicative only) for each age group. Think about having a sacrificial lamb, a second lower value pension that can sacrificed if minimum not taken. In this way if you pay only a small amount less than the minimum you only have to lose the smaller pensions concession rather than the concession on your full balance. When combined with the ATO relief discussed in the following article “What-happens-if-i-don’t-take-the-minimum-pension” you will have a buffer for mistakes. Before reading the following:Be careful not to reset a pension that has been grandfathered under the new deeming of pension rules that came in on Jan 1st 2015 without getting advice. 12. Reversionary Pension is often the preferred option to pass funds to a spouse or dependent child. You should review your pension documentation and check if you have nominated a reversionary pension. If not, consider your family situation and options to have a reversionary pension. This is especially important with blended families and children from previous marriages that may contest your current spouse’s rights to your assets. Also consider reversionary pensions for dependent disabled children. the reversionary pension may become more important with the application of the proposed budget measure on $1.6m Transfer limit to pension phase. If funds already in pension and reverting to another person then the beneficiary has 12 months to implement strategies to maximise how much they can retain in the superannuation system. If you have been affected by the changes in the rules on taxation of TTR Pensions and the implementation of the $1.6m Transfer Balance Cap then you should be considering the CGT relief that may be available to your fund. In accumulation phase review any capital gains made during the year and over the term you have held the asset and consider disposing of investments with unrealised losses to offset the gains made. Review your investment strategy and ensure all investments have been made in accordance with it, and the SMSF trust deed. Also, make sure your investment strategy has been updated to include consideration of insurances for members. See my article of this subject here. Don’t know what to do…..call us. Ensure all the funds activities have been appropriately documented with minutes, and that all copies of all statements and schedules are on file for your accountant/administrator and auditor. 16. Double Dipping! June Contributions Deductible this year but can be allocated across 2 years. For those who may have a large taxable income this year (large bonus or property sale) and are expecting a lower taxable next year you should consider a contribution allocation strategy to maximise deductions for the current financial year. This strategy is also known as a “Contributions Reserving” strategy but the ATO are not fans of Reserves so best to avoid that wording! Just call is an Allocated Contributions Holding Account. Regulations now require assets to be valued at market value each year, ensure that you have re-valued assets such as property and collectibles. Here is my article on valuations of SMSF investments in Private Trusts and Private Companies. For more information refer to ATO’s publication Valuation guidelines for SMSFs. If your fund has any investments in in-house assets you must make sure that at all times the market value of these investments is less than 5% of the value of the fund. Do not take this rule lightly as the new SMSF penalty powers will make it easier for the ATO to apply administrative penalties (fines) for smaller misdemeanors ranging from $820 to $10,200 per breach. Make sure the assets of the fund are held in the name of the trustees on behalf of the fund and that means all of them. Check carefully any online accounts you may have set up without checking the exact ownership details. You have to ensure all SMSF assets are kept separate from your other assets. 22. Review Estate Planning and Loss of Mental Capacity Strategies. Review any Binding Death Benefit Nominations (BDBN) to ensure they are valid (check the wording matches that required by the Trust Deed) and still in accordance with your wishes. Also ensure you have appropriate Enduring Power of Attorney’s (EPOA) in place allow someone to step in to your place as Trustee in the event of illness, mental incapacity or death. Do you know what your Deed says on the subject? Did you know you cannot leave money to Step-Children via a BDBN if their birth-parent has pre-deceased you? Not just for property, any unlisted investment needs to have a market valuation for 30 June. If you need assistance on how to value unlisted or unusual assets, including what evidence you’re going to need to keep the SMSF auditors happy, then contact us. Play by the new rules that come into place on the 1st of July 2016 or get them out of your SMSF. More on these rules and what you must do in a good blog from SuperFund Partners here. I wrote an article a few years ago for MYOB’s small business blog called How much do I need to retire at 60? that certainly caused some heated debate and has been viewed over 425,000 times. The comments we got on that article were amazing and eye-opening to see how people’s vision of a “budget” and “comfortable lifestyle” is so different depending on their personal circumstances. The latest figures released by the Association of Superannuation Funds of Australia ASFA Retirement Standard benchmarks the annual budget needed by Australians to fund either a ‘comfortable’ or ‘modest’ standard of living in retirement. Source ASFA Retirement Standard. The figures in each case assume that the retiree(s) own their own home and relate to expenditure by the household. This can be greater than household income after income tax where there is a drawdown on capital over the period of retirement. Single calculations are based on female figures. All calculations are weekly, unless otherwise stated. The figures in each case assume that the retiree(s) own their own home and relate to expenditure by the household. This can be greater than household income after income tax where there is a drawdown on capital over the period of retirement. Single calculations are based on female figures. All calculations are weekly, unless otherwise stated. As you can see from the figures if you are looking at a ‘comfortable’ retirement at age 65-67 you need to consider a budget of $60,264 for a couple or $42,764 for a single person household. In my previous article I talked about retiring at age 60 but as most people will be looking more likely at 65 as their target, I wanted to clarify what I believe you need to fund such a retirement. In my opinion a couple would need a combined superannuation and non-super investment assets balance of around $760,000 minimum and a single individual would need a balance of around $560,000. This at odds with ASFA who have increased their requirement by a whopping $130,000 but still have lower figures than mine as they believe you only need $640,000 for a couple or $545,000 as a single person. My figures are based on No Centrelink Support. I am happy to accept ASFA are correct if you take into account some age pension but I find that many clients do not qualify for this because of non-income producing assets like holiday homes, caravans boats etc reducing their pension entitlements. Also there is an inherent risk that the now reduced Asset and Income Test limits may be reduced further in the search for more Government Budget Savings. So let’s get take it for granted that an SMSF member wants a bit better than just a Comfortable lifestyle. My friends at Accurium who I use to do Retirement Healthchecks for my clients came up with these figures for those looking for a better lifestyle and having at least 50% chance of sustaining it for their life expectancy. This assumes all you capital will be used in your lifetime. If you want more detail and options on having capital to pass on to your children then visit Accurium’s website to access their full report. So have a look below at what the ASFA Retirement Standard includes and then add in your own preferences to find out your ideal budget and capital requirement. The Standard includes the cost of things such as health, communication, clothing, travel and household goods. Figures from March Quarter 2018. Most people I see in my day-to-day work advising on retirement planning have a “sugar coated view” of how they want to spend their time in retirement. Many have hobbies or interests that cost very little but others who like international travel or partaking in expensive social lifestyles of hobbies often under-estimate the costs. Another worrying trend is people borrowing in their 50’s to fund lifestyle for fear of missing out or to keep up with the Jones! Others are helping children with home deposits and losing the vital compounding interest on their savings. Many tell me they believe they can live on the Government Age Pension in retirement. Well if you can’t manage on your current wage now without borrowing then you are in for a big shock if you plan to rely on the meagre Age Pension. I see one industry commentator saying that the savings required to live a modest lifestyle in retirement only requires a small amount of retirement savings in addition to the age pension, however that sort of budget leaves you very vulnerable to food and utility price inflation as people will have seen with rising vegetable and electricity pricing in the last few years. When you look at these estimates of the amount capital or assets you need to achieve the lifestyle you want in retirement, it’s still important to remember that most of these work on the average life expectancy. If your family has a history of longevity or early death, then you need to make allowances accordingly. The bottom line: It’s never too early and hopeful not too late to start planning. So if you want to see where you stand at present based on your current savings and contributions to super, then use the Retirement Planner on the ASIC’s free Money Smart website. Once you work out you target you should consider seeing a Financial Planner to see what strategies are available to you to boost your savings such as using a Transition to Retirement Pension and Salary Sacrifice strategy to save on personal and superannuation tax and build your nest egg. I recently did a co-presentation with Louise Biti from Aged Care Steps for the Self Managed Superannuation Fund Association on how SMSF Trustees can plan for incapacity or just that time when they no longer wish to run their fund. The response was great and the questions from the floor really brought it home to us that people are very concerned about how they pass control of their wealth and well-being to others. A copy of the presentation slides are available here . As part of my preparation I developed a simple checklist of issues that SMSF trustees should use when they consider their options. This list is not exhaustive so please add your own tips or suggestions in the comments section below. When planning for the management of your funds in your SMSF you must first read the Deed! You do have an Original copy of the Deed or a Certified copy don’t you? Who do you want to manage your fund if you die or are incapacitated? On death for Corporate Trustees you leave the shares in the trustee company via your will to the person(s) so they have a right to be a director of the trustee company. For incapacity you provide an Enduring Power of Attorney (EPOA) and when required you resign as a director and they are appointed in your place. If it is your spouse and they are the only other member then they become Sole Director. On death for Individual Trustees your Executor will usually have a right to be a trustee of the fund. For incapacity you provide an Enduring Power of Attorney and when required you resign as a trustee and they are appointed in your place. If it is your spouse and they are the only other member then they need to find a second person to act as a trustee or move to a sole director company trustee. Are they good with money and making decisions? Will they be willing to seek advice from specialists if necessary? Will there be conflict between beneficiaries – Sibling rivalry? Blended families? a power of attorney (or POA) can either become effective immediately, or upon the occurrence of a future event (such as your mental incapacity). A power of attorney can have specific clauses with instructions for the operation of the power. If you have a spouse or dependant you may want to include Dependants Clauses to ensure your funds can be used for their needs. You may want to consider a Conflict of Interest clause to allow a EPOA to make decisions that may suit them as well as you but to the detriment of other possible beneficiaries. Who do you want to receive your SMSF account balance? For Spouse / Dependants you should consider using a Reversionary Pension election or Non-Lapsing Binding Death Benefit Nomination direct to beneficiaries or via your will using Non-lapsing Binding Death Nomination to your Legal Personal Representative with option in your will to set up a Testamentary Trust. Normal BDBNs lapse after 3 years. Do any of the beneficiaries in your Will have special needs? For disabled beneficiaries consider a Special Disability Trust. For those poor with money or in a highly litigious career or in possible bankruptcy then a Testamentary Trust should be considered. Who do you want to manage your care options if you are incapacitated? Ensure you have an Enduring Power of Guardianship in place so that your lifestyle and medical treatment decisions can be made by a trusted family member or friend in the event that you become mentally incapable? Do you have an Advanced Healthcare Directive in place in the event that you become terminally ill and are unable to articulate your wishes? Have you spoken to your chosen Enduring Guardian so they are clear on your wishes and preferences, explained why you have made those decisions so that they can discuss these with any family members who have cause to question your wishes. Are they good with making personal decisions under pressure? Will there be conflict with other family that they can handle– Sibling rivalry? Blended families? The BSB and account numbers for any accounts or credit cards you have. Details of policies such as the policy number and type of insurance. If you have an accountant, financial planner, lawyer or other professional advisor include their contact details. If you have a business include details of where the company records are kept and the computer the ASIC Corporate Key is on. If important documents such as certificates of property title, jewellery and other valuables or personal items are being held in safe custody elsewhere or stashed in the attic then you should identify the location. Include all your email login in details and loyalty scheme account details. This includes your membership to social media and cloud data sites so your executors and family may be able to access your on-line data, including books or music files. Appoint a Legacy Contact if you use Facebook. If you have any direct debits in place you should include details so that they can be cancelled pending a grant of probate. Do you have other superannuation accounts. Your most recent superannuation statement(s) should also be included. If it is self-managed super the financial statements should be included. Discuss your wishes in terms of lifestyle, healthcare and treatment options with your chosen Attorney and Guardian and if possible with the broader family and make sure that they understand your wishes. Australian’s are very reluctant to talk about illness or death but it is essential to ensure your wishes are followed and to avoid family conflict. As I mentioned at the start this list is not exhaustive so please add your own tips or suggestions in the comments section below. What’s that? Bill Shorten has announced a new policy on the refund of franking credits? Okay, that’s not true. I noticed. And, based on feedback on Twitter over the last week, many of you noticed, too. If Shorten wanted to stir a hornet’s nest, he got just that. Maybe it’s clever politics. Maybe the focus groups told the pollsters this was a smart political strategy. It sure as heck isn’t good policy, in my view. Before you fire off an email to either abuse me or suggest I be knighted, let me explain. The tax system, as it stands, is broken. And before we go any further, please leave your political affiliations at the door. This week, on Twitter, I have bagged and praised Labor for different policies. I’ve done the same in the past to the Libs. If you can’t put aside your team jersey and engage in a discussion of ideas, then there’s not much for you in what follows. But if you’re interested in good policy, read on. First, it implies that if you pay tax, you’re welcome to use the credits to reduce your tax burden to zero. Second, those credits somehow magically are worthless once you hit zero, meaning that to me they’re worth something, but to a retiree in a 0% tax bracket, they’re worth nothing. How can franking credits be worth different amounts to different people in different circumstances? Search me… I’m buggered if I know. Now, don’t get me wrong. I think the current situation — regarding the ability to pay exactly zero tax on certain income in retirement that might be up to $80,000 — is crackers. Consider three people, all of whom have SMSFs in pension phase, and who — according to the current tax rules — pay 0% tax: Banking Betty, Rental Richard and Dividend Davina. Banking Betty deposits $100,000, and earns $2,000 each year in interest. Betty doesn’t pay any tax. Rental Richard has a $100,000 property that pays him $2,000 each year in rent. Richard doesn’t pay any tax. Dividend Davina buys $100,000 worth of shares that earned a profit of $2,000. The company paid tax of $600, so Davina gets $1,400. Davina doesn’t pay any tax. See the difference here? Because Davina’s investment is in the form of shares in a company, she gets less than the other two. Even though she’s not supposed to pay any tax, the company paid tax, so she gets less. Under current rules, she’d get the $600 back, delivering on the current government policy of a 0% tax rate, and equalising the return for each of those investors. Bill Shorten, in effect, is penalising people for owning shares. Now, let’s address the elephant in the room. Yes, because the company has already paid tax on that $2,000, Davina does officially get a refund. And the optics of that are bad: it looks like somehow the taxpayer is subsidising Davina. But it’s all a question of cash flows and timing. The ATO just gives Davina back the money the company paid in tax. And remember, a company is just a legal structure to organise your ownership interest in an asset. Shares in a company aren’t all that different in effect to accounts at a bank. Your bank account is evidence that you have a claim to a share of that bank’s assets, even if you don’t know specifically which notes you deposited. Imagine a scenario under which Banking Betty’s bank withholds 30% of her interest and sends it to the government as tax. And where Rental Richard’s property manager is obligated to send 30% of his rental income to the ATO. Both of these investors would have to fill out a tax return and the ATO would send them a refund — because tax was paid on their income, even though the tax rate should have been 0%. Would Bill Shorten stop Betty and Richard getting their money back? But somehow, because Labor has (unfortunately, disingenuously) used extreme examples to make their point, and because they’ve dressed it up as a handout, they’ve mischaracterised the situation. Somehow Dividend Davina is a fatcat living high on the hog, while Betty and Richard are perfectly entitled to pay no tax. Essentially, because of the asset class they decide to invest in, our three protagonists are being treated differently. Yes, the idea of a ‘refund’ for someone who has paid no tax feels, somehow, deeply wrong. But it’s because tax was paid by the company, on behalf of a shareholder who shouldn’t be paying tax, so the ATO is essentially just righting that wrong. Still fuming that well-off people pay no tax? Me too. What? Didn’t I just spend 984 words (don’t waste time counting them. I checked) defending those people? Here’s where both parties are engaging in a phony war of words. And we’re poorer for it. Having an essentially uncapped income at a 0% tax rate is madness. Yes, yes, it’s not technically uncapped, for a host of reasons. So let’s say $80,000 among friends. You and I pay a decent slug of tax on an $80,000 income. And there’s no reason that a well-off retiree should be able to draw a completely untaxed income of a similar amount, when they likely have a very decent asset base — say a home and a seven-figure superannuation balance. It’s simply not sustainable, especially as more boomers retire, to have that slice of the economic income pie remain completely untaxed. But — and this is important — that doesn’t mean we should simply ban franking credit refunds and assume that fixes the problem. Let’s go back to our alliterative actors, Betty, Richard and Davina. If Betty was earning $80,000 in interest, should that be untaxed? Should Richard’s $80,000 in rent be untouched by the taxman? Should Davina’s $80,000 in dividends remain completely unscathed? I don’t think so. But again, it’s not a question of the source of the income; it’s the size. Under Bill Shorten’s plan, Davina would be worse off, but Betty and Richard laugh all the way to the bank. Does anyone, seriously, think that’s a good basis for a tax plan? Here’s what I’d do: I’d have a generous tax-free threshold for income from superannuation, maybe $10,000 or so above the pension level. It’s not unreasonable that you’re allowed a little extra, given the sacrifice you made to save for your retirement. But above that level, I’d implement a progressive tax scale not unlike the one that applies to regular income: The more you earn, the higher your marginal tax rate. That way, the tax code doesn’t discriminate on the basis of the asset class. There are no free lunches. And the unsustainable tax situation that currently applies to Super is fixed. So Bill Shorten, and Chris Bowen, it’s time to admit defeat and go back to the drawing board. Feel free to use my template, above. And Scott Morrison and Malcolm Turnbull, please stop with the emotive and negative language and grandstanding. Politics should be a battle of ideas, not soundbites The best idea, well explained, should win, regardless of political party or ideological affiliation. And, ladies and gentlemen of the Parliament, the Australian people will give you bonus points for explaining it clearly and for anything that reduces the complexity of our tax affairs, while ensuring fairness. I’d like to think that’s still true. I agree with Bill Shorten’s characterisation of the problem. I disagree completely with his solution. I imagine I lost the most partisan readers — of both stripes — a few minutes ago. If you’re still reading, thank you for engaging in a discussion of ideas. I hope I’ve convinced some of you. Of those I haven’t convinced, I hope I’ve at least done a decent job of addressing the issue, without bias, grandstanding or misdirection. Thanks for reading. At the very least, I hope I’ve productively added to the conversation. It’s the least each of us can do. Here are some of the key issues we will discuss with you to get a better understanding on whether an SMSF is suitable to meet your objectives and circumstances. They have been developed to address concerns about people being pushed or rushing in to a SMSF. We want to protect access to the SMSF option for the long-term. What do you or your family want to achieve by establishing an SMSF . This explores your reasons for investigating this strategy and if it aligns with your short, medium and long-term goals or is it something you have just felt was right for you. We will have no hesitation in suggesting you consider alternatives that may meet your true objectives. We don’t believe an SMSF is right for everyone. Is contributing more to superannuation the right option for you at your age when we take in to account your financial commitments now and in the future as this money will be locked away until you meet a condition of release most likely in your 60’s. It may be more appropriate for your to concentrate on using excess funds for debt reduction, medium term investing in your name or an insurance bond for tax minimisation while retaining access to the capital. We develop our strategies to suit you! Is running a strategy via an SMSF suitable for you in terms of your experience, knowledge and available time. There are many busy executives, truck drivers and small business owners that I have had to talk out of running and SMSF when they can’t even find 1 hour in their week to schedule a meeting or even engage via Skype to understand their trustee obligations. Yet they thought they run a $800,000 investment portfolio! I hesitate to mention the one who said he could do his research while driving to work on his mobile! Or the couple who felt they were “property experts” because they had 4 Queensland regional properties, having never once visited any of them or done more than a cursory Google search using the highest valuations found and ignoring recent listings. By the time we analysed the portfolio they were going nowhere, low-income and negative capital growth. On asking for Property Inspection reports we found they were also up for tens of thousands in repairs and maintenance over the coming years. It was agreed that their super was safer in their well diversified existing strategy than another “punt” on property in an SMSF until learned more about property investing from a Buyer’s Agent. What funds do have to rollover from an existing fund(s). Are you able to move those funds? Some people are in government, military or state funds that cannot be accessed before a certain age like MSBS or Local Govt Super or maybe a Defined Benefit Scheme that’s too sweet to leave! Are you able to redirect future Super Guarantee contributions from your employer as some have a mandated fund under enterprise bargaining agreements etc. Are there high exit fees or underlying investments that are not liquid? Is it the right move for you? Have insurance needs been adequately identified and addressed for your future protection? We have to look at the current insurances in place and do a needs analysis to see if they should be maintained, altered, replaced or cancelled. 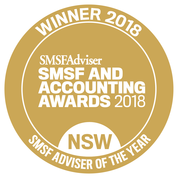 We will walk you through the costs of setting up and administering the SMSF annually as well as costs related to specific strategies you want to undertake? This includes fees associated with all related aspects of SMSFs including advice, investments, establishment, legal and administration? We will explain the pros and cons risks v benefits of establishing an SMSF? We will not necessarily encourage or discourage you but we will ensure you are fully informed and provide support coaching. We will help you with the development and management of the SMSF investment strategy and ensure it is compliant and will help achieve your objectives. We will ground you in reality (no reasonable investment will provide excessive returns long-term so we might burst a few myths. If the SMSF is to engage in borrowing or gearing? We will guide your around what is a reasonable level of gearing in your circumstances and to achieve your retirement plans and analyse the affordability of the gearing strategy. We will provide you with a full 3 step guide on the rules, the process and the mistakes to avoid during implementation. We want you to use the right strategy at the right time for your future financial security. This may explain why 2017 we were recognised among the best of the best in a number of professional awards. 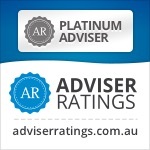 Are you looking for an advisor that will keep you up to date and provide guidance and tips like in this to help you run your SMSF or help your clients if you are an Accountant, Mortgage Broker or Lawyer? Then why now contact me at our Castle Hill or Windsor office in Northwest Sydney to arrange a one on one consultation. Just click the Schedule Now button up on the left to find the appointment options.